Mereng is a must read for those interested in the Northeast region of India and its people. The events portrayed in the book covers the span of years from 1910 to 2010. A hundred years. This may seem a long time; but it is not so. Considered against the history of a race, it is but nothing. The author, Anuradha Sarma Pujari, skillfully takes the reader along these years, highlighting the events in a manner that gives one the illusion of reality. Sixty years ago the far flung North East Frontier Agency (NEFA), was totally isolated from the so-called civilised society. There were no roads, no transport and no formal education for the indigenous people of NEFA. They lived in close proximity with wild animals and reptiles of the untouched forests, in small hamlets. NEFA was then a part of Assam. At the time, one often heard of the selfless and dedicated work of the American Baptist Missions in these regions. They came as the messengers of God, to spread religion and the light of education amongst those who had never known anything other than the tiny secluded world they lived in. In their selfless mission many perished; some survived to spread the word of God. Just after India’s independence, however, a group of Assamese teachers ventured out with the intent of bringing education to the local population of NEFA. The entire enterprise had been led by a young woman of substance, who had just qualified with a Masters degree from the University of Edinburgh. In 1947, the government of India placed on her the onerous and challenging task of spreading education among the indigenous people of NEFA. She was sent to Sadiya to set up a centre for education. The villagers at the time did not take kindly to any intrusion into their domain by outsiders, whom they did not trust. Word went round that they chopped white men into pieces and set them afloat in the river. The young woman who took up the challenge was Indira Miri. Indira Miri, fondly called Mereng, was the daughter of Sonadhar Senapati. Having lost her mother at a very tender age, she had been brought up in an extended family that was run on the dictates of her liberal father. They had a home in Shillong which was Senapati’s workplace. Another home was at Silpukhuri in Guwahati, where many of the immediate family lived. Here also lived Benu, who had come to work for them from their ancestral village, and stayed on to make this his own home. He had been the Man Friday of the Senapati home, and had been a source of constant support, love and succour to the little motherless child, Mereng. Those were the times when caste was an important and vicious factor that governed our society. The Brahmins, the so-called upper castes, got their daughters married much before they attained puberty. Most of those young children did not understand the significance of marriage. And yet, in circumstances when the groom happened to die soon after the wedding, the young widow had to live a life of abject cruelty and deprivation. She was castigated by society, if she but unwittingly committed the slightest mistake in following the social sanctions. In addition to leading a life of loneliness and anguish, she was not allowed to participate in any joyful event in the family. She was doomed as the ‘unlucky one’ who would mar any happy occasion by her presence. The same was not true for the man. He could marry again as soon as he wished. For the widow to contemplate such a matter was considered sinful and unpardonable. She had to blacken her teeth, eat vegetarian food for life, and wear nothing but white. All the colour was to be summarily wiped out from her life. As if that was not unjust enough, the upper castes looked down upon the other castes and considered them ‘inferior’ in all ways. Senapati had been a victim of this derogatory system. His was a gentle and inoffensive personality. But he was a trail-blazer. In a bid to flout these norms of society, he vowed that the caste system should not in any way jeopardize the healthy unfolding of the personalities of any of his children. To that effect, Indira Miri was sent to Kolkata to study in school and later in the Scottish Church College. At the time, the medium of instruction in Assam’s educational institutions was Bengali. Mereng’s father did not like the idea of the child studying in the Bengali medium. He did realize that her going to Kolkata would still mean that she would have to study in Bengali. Why then, Merang wondered, could she not study on with her friends in Shillong or Guwahati and study in the Bengali medium? She did not want to go to a new place, and have to make new friends and adjust to new ways. But she did go, and took this as a challenge in her life. Kolkata gave Mereng a very wide exposure. Gradually, she got over her homesickness, and adapted to the regulations imposed by the school. She was pleasantly surprised at the range of extra-curricular activities, apart from music, that included even the skillful wielding of a stick. In this way, girls were taught to protect themselves. While in school, she had the opportunity to see the plays of Rabindranath Tagore performed in Jorasako’s Thakurbari. It was during her school years that she heard the speeches of veteran leaders like Mahatma Gandhi, Subhas Chandra Bose and Sarojini Naidu. She heard their fiery speeches about the need for our country to remove the shackles of the British and fight for independence. After having passed her Matriculation with credit, Mereng joined the Scottish Church College. With the consent of the principal, Dr. Archohart, she took up the humanities stream with Mathematics. Her father had been keen to get her admitted in a college with co-education, so that she would overcome unnecessary inhibitions with regard to boys and men. Mereng herself decided to join the Assamese classes started by Jatindra Nath Dowerah. She could then opt for Assamese in place of Bengali in her final B.A. examination. Since the subject would only be examined during the final exams, she would have ample time to study. By now she had a decisive head on her young shoulders, for which both her father and the principal of the college admired her. It had been at this stage of Mereng’s education that Sonadhar Senapati met Mohi Chandra Miri. This young man who hailed from the Mohkhowa village of Dhokuakhana had just joined as a Forest Extra Assistant Commissioner of Assam. Senapati was instantly charmed by this young man from a backward Mising (earlier known as Miri) community, who had come to seek his advice. The plains tribals and other underdeveloped communities had planned to submit a memorandum to the Simon Commission. He wondered if it would be judicious to include the deplorable state of the Mising community also in the memorandum. Senapati whole-heartedly approved of the scheme; and Mohi Miri scaled up in his esteem. That evening, Mohi Chandra Miri dined in the Senapati household at their insistence. Meanwhile, this young man became a frequent visitor at the Senapati household in Shillong at their behest. Suddenly Senapati started nursing matrimonial schemes in his head. This boy would be the perfect match for Mereng. He had already written to her about Mohi Chandra’s multi-faceted qualities of head and heart. Senapati now wanted Mereng to meet him. Mohi Chandra was being sent to Rangoon by the government for training in forestry. He would have to go via Kolkata. Senapati requested him to carry a letter and a parcel for Mereng to which he readily agreed. Having heard so much about her from her father, he too looked forward to meeting her. Accordingly, he went forth to meet her at the Scottish Church College, and liked what he saw. He liked her simplicity, and her uninhibited gentle but forthright manner. In a short while, this girl would complete her B.A. examination and return to Guwahati. There would then be many more opportunities for them to meet! Having come home to Guwahati after her B.A. exams, Mereng applied for a teaching post in the Panbazar Girl’s High School. The headmaster, Hem Chandra Das, offered her a job as a teacher of Assamese. Feeling that she could not do justice to the subject, she refused the job. Appreciating her honest appraisal of herself, the headmaster appointed her to teach Mathematics and English instead. This had been the beginning of Mereng’s teaching career in which Hem Chandra Das and Rajobala Das played an important role. They helped to instil confidence in herself and mould her performance as a successful and dedicated teacher. But unfortunately, just when she had completed three happy months of teaching, her father arrived to take her back to Shillong with him. His logic was that if she was allowed to continue with a vocation of her choice, she would never think of marriage. And marriage for her, was uppermost in his mind! Within a short span of time, Mereng was married to Mohi Chandra Miri with great fanfare in Guwahati. Being a marriage between two educated people of different communities – a Baniya and a Miri – this was a deviation from the usual arranged marriages. But then, Senapati was broad minded to the core and did not believe in any caste or community distinctions. The marriage rites were performed by a devout and highly educated Brahmin priest from Benaras. Mohi Chandra’s simple and loving parents welcomed Mereng with open arms, and treated her as a daughter. She, in turn, was most respectful and took infinite care of them. Having spent time with them in the village, the village folk became her ardent admirers. Soon she realized how deeply she was in love with her husband with his compassionate nature and consideration for others. What was more, he was deeply in love with her too; it kept growing with the passing of time. Mereng was now with child. However, before they could rejoice in this knowledge for long, she lost the baby, leaving her totally devastated. Mohi Chandra being more down to earth was capable of getting Mereng out of the dumps soon enough. He was able to take it in his stride and infect Mereng with his own hopes for the future. Meanwhile, Mohi Chandra was appointed as Extra Assistant Conservator of Forests and posted at Bagori near the Kaziranga Forest Reserve. Much as he advised Mereng to stay on in Guwahati with a job, she would have none of it. She decided to accompany him to the forests and live according to the rules of the forest. For a few months, she enjoyed nature’s bounty, with all the wild animals. Soon she was with child again. The birth of this child, a son, brought untold joy to the couple. With the coming of the infant to their lives, Mereng’s temperament underwent a strange change. The forest with its wild animals that had been a source of profound joy for Mereng so far, became a source of constant fear for her, lest it pose a threat for her infant. This change somehow saddened her husband for whom the forest was his life and soul. On one occasion, he had to put to sleep a truant python that the foresters had managed to capture and imprison before letting it loose in the deep forest. This, because of the constant fear that had taken root in his wife’s mind. This act that saddened her husband caused Mereng to introspect and she was penitent on this score. At this juncture calamity struck. Mohi Chandra was suddenly ill with high fever one day. The doctors were befuddled as to the cause of the illness. By the following afternoon, his condition worsened; he passed away leaving an unimaginable void for Mereng and their well wishers. Destiny had wiped off all colour from her joyous life. The news spread like wild forest fire. Now with her two little children, a boy and a girl, and pregnant again, a devastated Mereng returned to her father’s house. Her father who had already suffered personal grief on account of bereavements in the family, consoled her with his deep wisdom. “Remember”, he told Mereng, “Mohi has left you the biggest assets that life can offer – your children. You must now be for them a father as well as a mother.” And thereafter he stood like a rock behind her, goading her on to come to terms with life and move on. And Mereng prayed for courage, endurance, will and grit to do just that. Taking her children with her to Shillong, she took up a teaching job again. And from then on, she became Indira Baideu for her students. Her main objective at the time was to be able to bring up her children without deprivation. Within a short spell, however, she was invited to teach at her former school at Pan Bazar as assistant teacher. So, it was back to Guwahati for Mereng. In this manner, a few months passed by. Suddenly there appeared a vacancy for the principal’s post in the Shillong Assamese Girls’ High School. As per her father’s wishes, she applied for the post and was appointed; and she took this shuttling between Shillong and Guwahati in her stride. Gradually, Indira Miri became a name to reckon with in Shillong. At this point, inspite of her heavy work load, she decided to improve her teaching skills. She joined the B.T. classes in St. Mary’s College, and successfully passed the B.T. examination with a first class. Meanwhile, Mereng was unexpectedly offered a scholarship by the Central Government to undertake a Montessori training course of six months at Ahmedabad. This was sponsored by the famous Sarabhai family in Gujarat. Her father declared that it would be foolish on her part not to take the offer. These four years after Mohi Chandra Miri’s demise, had been unbearable and sheer anguish for Mereng. Like the grass that loses its colour but survives under the pressure of a stone slab, she too lost colour and wilted. But she survived and surfaced; a stronger person with indomitable courage and tenacity. Leaving her children with her caring sister, Pankaj, and her husband, she journeyed to Ahmedabad, where she completed her training with credit. Destiny seemed to aid and abet Mereng. On her return home, she stopped to spend a couple of days at Delhi, with the family of Mohendra Lal Das, her cousin. He took her to meet the Education minister, who advised her to apply for a scholarship to study in Britain. Just to honour her cousin’s request she left an application with him. Happily re-united with her children, she rested for a couple of days before joining her work in school. Within a month, however, she was called for an interview to Delhi. As usual, her father organized her travel and ordered her to go for the interview. She was selected for the scholarship. Mereng didn’t know what to do; but her father was adamant. Go she must, to study at the Edinburgh University in Scotland! Leaving her children again in the care of her sister, Mereng set sail on the steamship ‘Strathmore’. At the end of her sea journey, two young boys from the Indian High Commission’s office arrived to take her to London. After necessary formalities at the High Commission’s office, she left London by train the following day and arrived at Edinburgh by nightfall. Her stay in Edinburgh had been an eye-opener on many and varied counts. This had been invaluable experience for a young woman who wanted to hold the bull by its horns in her future hard struggle for survival. The author’s account of Mereng’s valuable two years in Scotland is both vivid, entertaining and humorous. Her knack of using the right words to convey the exact image is astounding, thereby making for pleasant reading. In two hectic years, Mereng’s course was over. In between, she even completed a 3-month training course in Oxford. Now she was ready to go home and longed to be where she belonged. Mereng’s return home brought a new lease of life for her ailing father. He bounced back to health with renewed vigour. Overwhelmed at seeing her children again, Mereng wept with joy. At the same time, the demise of her childhood mentor, Benu, brought back memories that caused unbearable anguish. Nevertheless, she took stock of herself. She would now have to start a new life from scratch. In her last couple of months in Scotland Mereng had put out feelers in the form of letters to different people. The adviser to NEFA, Mr. Walker, had written to ask her if she would like the work in NEFA to which she had answered in the affirmative. Back home now, she told her father that it might be a good idea to meet Walker. To put her off this plan, he reminded her about the hazards of a working life in far flung NEFA. The very next day, however, Mereng went to meet Mr. Walker in Shillong. He was delighted to see her and asked her to chalk out a detailed educational plan suitable for NEFA. Working round the clock the following week, she submitted a plan which was immediately approved by Walker. Three days after the event, she was appointed as the Chief Education Officer of NEFA and posted at Sadiya. Almost immediately, she left for Sadiya with her first born, Utpal, leaving her other two children with her sister. Thus began Mereng’s tryst with NEFA and its local folk whom she grew to love dearly in the years ahead. She identified with them wholeheartedly, and they in turn accepted her as a well-wisher and one of them. Once in Sadiya, Mereng was determined to uplift the down trodden. She was joined by a group of selfless and enthusiastic Assamese teachers and other workers who had already been living in NEFA. Led by Indira Miri now, they taught the illiterate villagers to help themselves and trust the concept of education and advancement. In time, all the village folk embraced the struggle for literacy and gave these selfless workers their unstinted support. It took the group their sustained devotion, patience and courage to keep working under difficult and hazardous odds. We feel proud to think of a group of Assamese people who had sacrificed their all to bring advancement and hope to a people who had so far been engulfed in darkness and to help them to usher in an era of change. But just as things looked brighter, calamity struck. In 1950, an earthquake of unthinkable proportion hit the northeastern region of India. It changed the entire geography of the place. This devastation changed the course of rivers, created plateaus where hillocks stood, and gaping holes in the land devoured human beings. Whatever crude infrastructure had been created in the name of schools were all razed to the ground. The makeshift roads had also disappeared, disrupting communication between villages. Indira Miri and her group of teachers had to work round the clock to bring back some semblance of order amongst the devastated village folk, and start from scratch. This called for a battle against all odds. But they surfaced and survived. Anuradha Pujari’s account of the havoc created by the earthquake and the subsequent anguish and agony of the people is truly commendable. The reader is instantly propelled into a realistic picture of the unforgettable event. Mr. Walker in Shillong was very happy with Indira Miri’s work with the downtrodden in NEFA. Already there were rapid strides made, and word had spread about the make-do schools in the villages. What started as trepidation on the part of the village folk had now resulted in active cooperation from many villages in the length and breadth of NEFA. Every village in NEFA had its own dialect. Sometimes folk from one village did not understand the dialect of another. But they all seemed to understand and speak a smattering of Assamese. Indira and her team initially went round each village to try and find out the extent of Assamese that was prevalent. To communicate with the village folk, all the workers had to learn the local language. A month after Indira’s arrival at Sadiya a circular from Shillong stated that the Roman script should not be used in the government schools. But there should be provision of teaching both Hindi and English in the schools. It was now decided that the medium of Education should be Assamese. This decision was welcomed by the village folk as well as the team of workers. Indira Miri’s job was not only to impart the 3 R’s to the local folk, but much more. Work was decentralized and each worker was in charge of one aspect of education. For instance, the Agriculture Inspector Nazibul Islam and the health officer at Sadiya, Captain Dutta, between them trained the children to care for their teeth, hair and nails besides teaching them cleanliness that went with toilet training. They were taught to bathe every day, wash their clothes and pray. All this was very new for the local inhabitants. The students were taught to look after the school garden and fence it. Local teachers were appointed to teach them wood, cane and bamboo work. Eunis taught them sewing, weaving and painting, while Kalyani Barua taught the students to work with clay. Wherever and whenever Indira Miri spotted talent, she requested the person to impart the skill to the local students. She even enlisted the aid of the Assam Rifles to impart physical training to her students. With her meticulous planning, Indira Miri involved one and all in Sadiya in helping with the education of the local folk. She only had to request, and they all rallied round. These voluntary helpers were not all government appointed teachers. They came from different communities and vocations and joined hands in Indira Miri’s enthusiastic work. Many local persons helped in teaching the regular teachers the local dialect of the place where a school was situated. Her students were spread over a wide range in terms of age; so were the teachers. This work on a war footing was conducted not only in Sadiya but in all remote villages of the entire North East Frontier Agency. She even witnessed the mighty river eating up large parts of Sadiya. In a few years Indira Miri and her team’s dream of bringing the light of education to the dark corners of NEFA came true. The knowledge of this development delighted Mr. Walker! There is however, a saying that ‘all good things must come to an end.’ So long, these dedicated workers under the leadership of Indira Miri felt that the best way to win over these simple and trusting children of nature was by love, trust and understanding. These were folk who were scared of the artificial trend of modernization. Jawaharlal Nehru’s dream was that the light of education should be brought to these people through a language close to their heart without destroying their culture, tradition and way of life. So far, Indira Miri and her team had achieved commendable change and development by using both their own dialects and Assamese. Hindi was more foreign to them than even English. Soon enough after independence, however, politics started playing a part. The government’s policy had changed. Governor Jairam Das, during a visit to NEFA had announced that Hindi henceforth would become the medium of instruction in the schools of NEFA; and this had to be mandatory. Hindi-speaking staff would be recruited by the Central Government to bring about this change. Alongside, local people, if need be even those who have studied only up to class two or three, could be recruited to teach Hindi. This should be done on a war footing. The village folk were stunned. Indira Miri felt that the entire scheme was shocking. It would not do to thrust a policy of this sort onto the simple village folk against their wishes. Had the scheme not been made compulsory, they would have slowly gravitated towards the language for the fun of learning a new language. For the government to force this change in place of the mother tongue was deemed to be totally wrong. But even the Governor refused to listen to these dedicated workers. The government at the Centre decided to appoint a Director of Education for NEFA. In the other departments already non-Assamese people like Verma, Gidwani, Nandi Das and Rijwani were appointed. Gradually, most of the erstwhile officers of NEFA started to depart one by one. Indira Miri, on the basis of her ten years’ hard work and experience in NEFA decided to apply for the Director’s post. The Selection Committee called her to Delhi for an interview. But the policy had been to recruit non-Assamese officers. Indira Miri was educated in Edinburgh and creditably trained by Madame Montessori herself. She had spent a grueling decade in the dense forests of NEFA and worked round the clock to educate the children of the simple, down-trodden, and uneducated folk. But she was not selected for the post of Director. H.R. Soni who hailed from the Punjab was appointed Director. Indira tried to recollect whether at any point of time she had met Mr. Soni; but she couldn’t remember having met him before. She decided that this person might be much better qualified than her. But in the last ten years she had taken the education in NEFA to the present dignified heights. She would now not be able to follow the orders of H.R. Soni. She was sadly disillusioned. In a cool and collected manner, she wrote out her letter of resignation. The people of Subansiri, Kameng, Tirap and Lohit as well as the whole of Assam, had been thoroughly shocked, saddened and disappointed at this turn of events. They could not now hope to see such dedicated work again. But then, perhaps all good things must come to an end! And such it was for the people of the North East Frontier region. Anuradha Sarma Pujari is a wonderful story-teller. Every bit of the book has been zealously worked out and presented in the most simple and fascinating style, incorporating the rich and panoramic in nature. 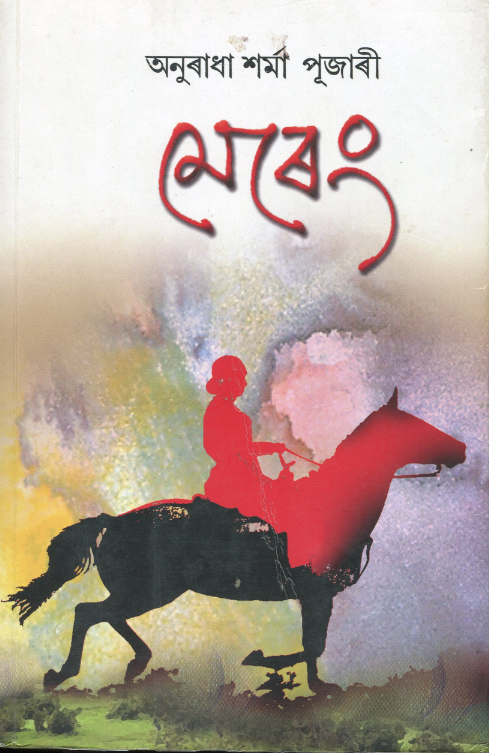 Deepika Phukan is a writer and translator based in Guwahati. Her translation of Arupa Patangia Kalita’s The Story of Felanee (Zubaan 2011) was shortlisted for the Economist Crossword Book Award 2011.